The Karnali River is the last free-flowing river of Nepal. The other major rivers have already been dammed by construction of hydropower plants. The Nepal River Conservation Trust and Waterkeeper Alliance are collaborating to Save the Karnali River from imminent hydropower dams on the main stem. The environmental and social consequences of even one main stem dam has the potential to alter the area irreversibly. We are collaborating to support a scientific expedition to highlight the remarkable and outstanding values of the river and watershed. The expedition team will visit communities along the Karnali River and work with them to produce a “Sacred River Corridor Management Framework” that protects aquatic species, supports sustainable hydropower development, and creates economic opportunities to enhance livelihoods throughout the Karnali River Corridor. Waterkeeper Alliance is the fastest growing nonprofit solely focused on clean water. The international organization strengthens and grows a global network of grassroots leaders. Their goal is swimmable drinkable fishable water everywhere. The Karnali rises from Mt. Kailash on the Tibetan Plateau, and flows 671 miles to its confluence with the Ganges River in India. The river provides water for millions of people, provides for fish and wildlife resources and has a high value for ecotourism especially in the form of whitewater rafting and as an approach corridor to the Sacred Mt. Kailash. These ecological services sustain livelihoods throughout the Karanli River Basin. 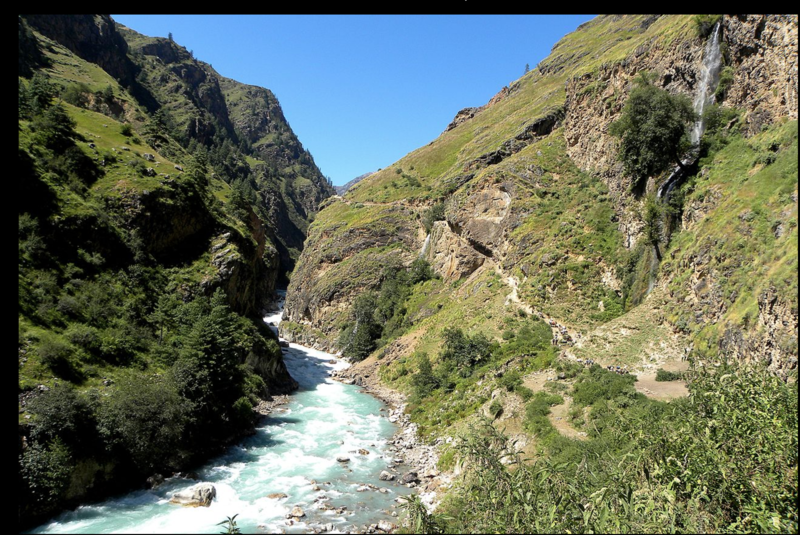 An ancient river, the Karnali was in place as the Himalayan Mountains were thrust up by the collision of the Eurasian and the Indian tectonic plates. As the mountains rose, the river downcut into the landscape, the sinuous channel already in place. Hard rock ledges, ancient and current day landslides create steep stream gradients, boulder strewn reaches and world-class whitewater rapids. Fed by glacial meltwaters and strong monsoon rains, this powerfully erosive river provides water, nutrients and sediments to the lands along its path providing fertile agricultural plains. 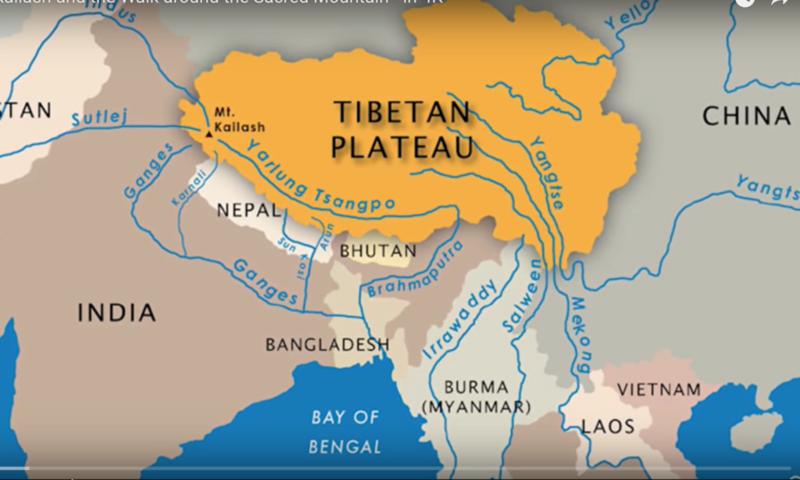 The Karnali, along with three other sacred rivers, the Ganges, the Indus (Sutlej), and the Brahmaputra (Yarlung Tsangpo) all initiate from within 100 km (66 miles) of the slopes of Mt. 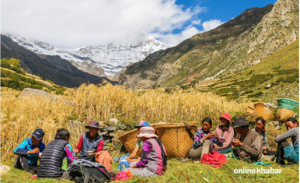 Kailash on the Tibetan Plateau and supply food and water to billions of people in China, Nepal and India. 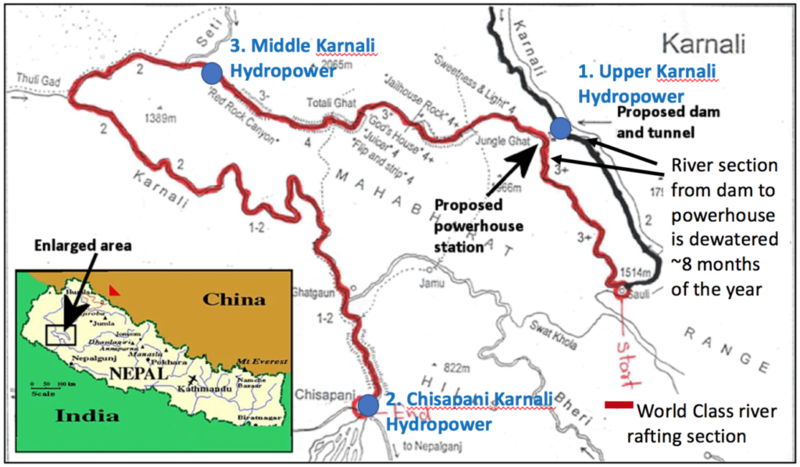 Three hydropower dams are planned for the main stem of the Karnali River, with another 40 proposed on tributary streams throughout the watershed. Construction of hydropower at this scale will irreversibly affect aquatic species habitats, migrations and ultimately their survival. The majority of the power provided by these dams will be exported to neighboring nations while Nepal will bear the social and environmental costs.